In 2012, Twin Cities Habitat became the first nonprofit in the state to acquire Yellow Ribbon status. 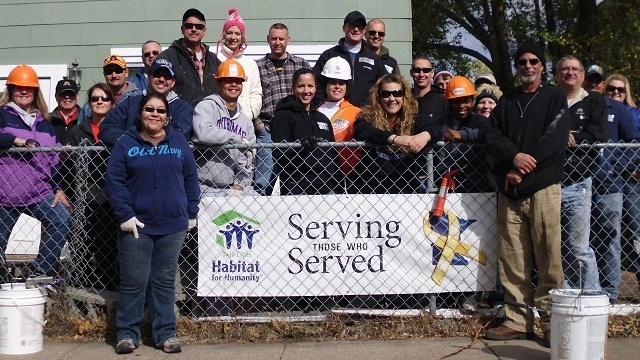 We support military families through special consideration in Habitat programs, and we provide ways for service members to serve the community. We make it easier for veterans and current service members to enter our homeownership program. They are given special consideration, including being exempt from having to be first-time homeowners. Depending on your situation, you have the option to buy a home built or rehabbed by Habitat, or buy a home on the open real estate market. The affordable, fixed-interest mortgage will never be more than 30% of your income at closing. We also make it easier for veterans and current service members to receive home repairs through our A Brush with Kindness home repair program. They must have lived in their home for at least one year, instead of the two-year requirement for other homeowners. A Brush with Kindness includes exterior painting, health and safety repairs, home modifications for aging in place, and more. There are many ways for Veterans and current service members to volunteer. This includes group volunteering on a buildsite or at a ReStore Home Improvement Outlet, regular or one-day volunteering for individuals, and more. The skills veterans have could fit well with current job openings, and we welcome all veterans to apply. We frequently work with subcontractors to complete work on our construction sites, and welcome veteran contractors to apply. 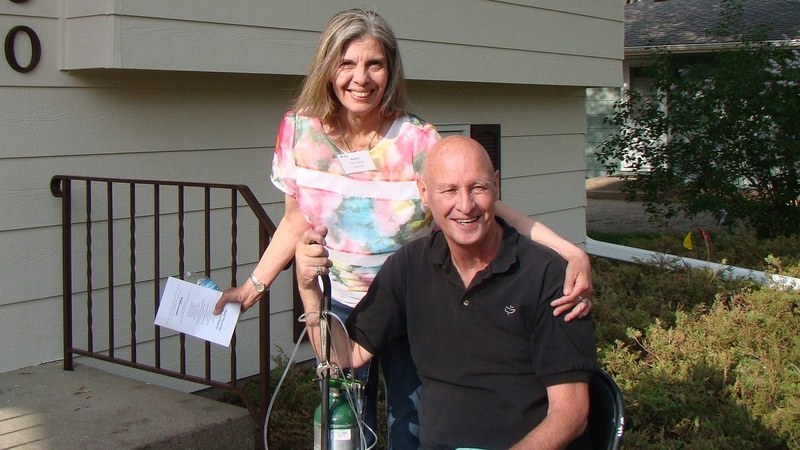 After an aggressive cancer diagnosis, Bob wanted to be sure his home would go to another veteran who needed it. It changed Bonnie's life. 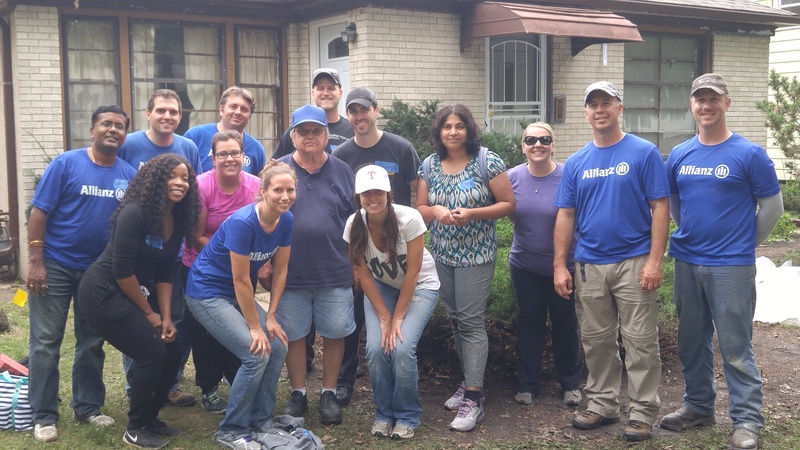 Allianz's Operation: SERVE teamed up with Habitat's A Brush with Kindness home repair program to preserve Veteran Chester's home. 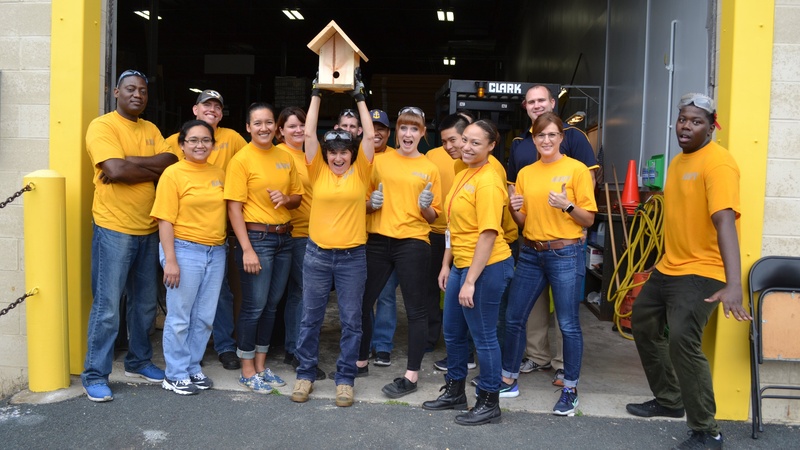 The U.S. Navy came to the Twin Cities for Navy Week 2017, and spent time volunteering at the Twin Cities Habitat ReStore home improvement outlets.